Trauma research and clinical practice have taught us much about the widespread problems of child maltreatment, partner violence, and sexual assault. Numerous investigations have documented links between such trauma exposure and long-term negative mental health consequences. As we learn more about traumatic stress, however, increasing attention has been drawn to the less studied physical health effects of maltreatment and trauma. Trauma and Physical Health describes both the negative physical health effects of victimization in childhood as well as exploring theoretical models that explains these links. 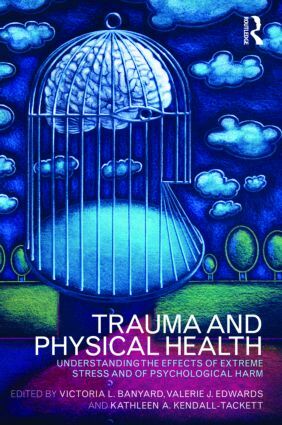 By bringing together new and current studies on the relationship between trauma and physical health, this edited collection assesses the clinical implications of these links. At a time when the mental health field is becoming increasingly cognizant of the value of collaboration with professionals in the physical health arena, this book suggests ways in which clinicians can work with primary care professionals to better meet the needs of trauma survivors across the lifespan. A key focus of the text is to clarify the relationship between the current knowledge base in trauma and physical health and directions for future research in primary care health settings. With contributors from a wide range of clinical and psychological disciplines, it will be of interest to researchers, clinicians and professionals in the trauma field and to primary care professionals concerned with compassionate care for the traumatized.